It's been raining Pi cases in Average Towers this week. I’m taking another break from my Pi Wars robot project this week to check out a big ol’ box of Raspberry Pi cases that were sent to me in the post. It all started when I contacted Dustin over at C4Labs asking him if there was a UK supplier for his cases. I had my eye on one of their retro Bel-Aire cases and was keen on getting one for my KODI media centre in the lounge. For those of you who don’t come here often, I try to give away any product I’m sent to review, as long as I’m done playing with it of course. As Dustin sent me a handful of Raspberry pi cases, I’m giving away four of these this week to random lucky subscribers – anywhere in the world! Let me show you the goods! 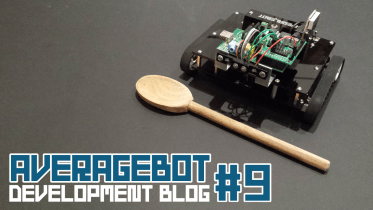 I like to get to know the companies that I talk to as part of this blog, so let’s learn a little more about these guys before I show you the Pi clothes. 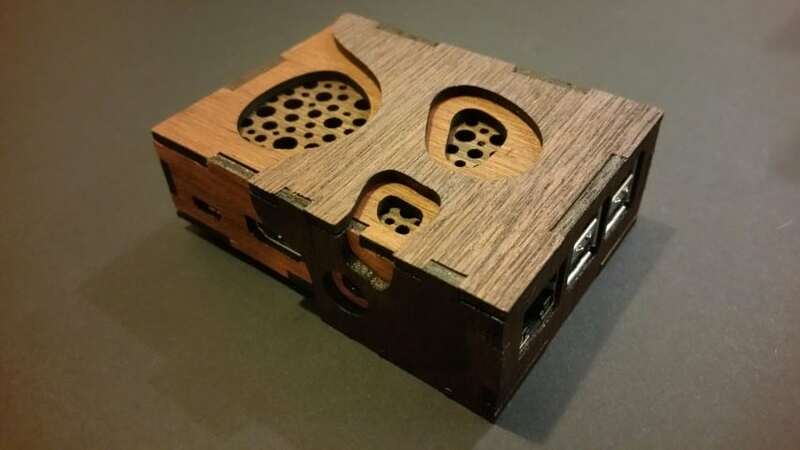 C4Labs.net are an up and coming manufacturer of unique cases for the Raspberry Pi, Arduino, Trinket and other micro computers. 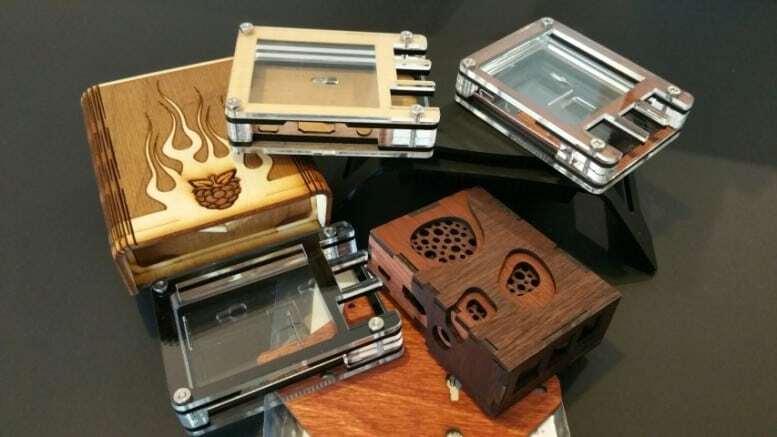 The thing that sets them apart for me, is the fact that they offer a big range of 100% wood cases. Whilst that’s not everyone’s cup of tea, I love the look, feel and smell of laser cut wood in the home! 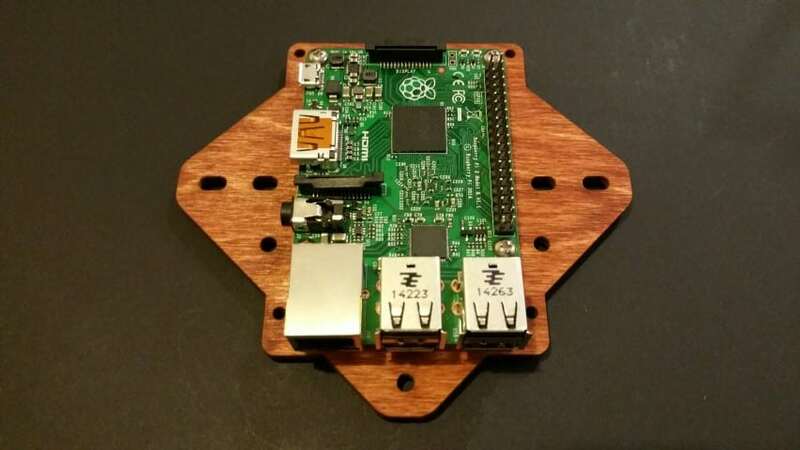 I first came across them when I reviewed the FlexPi case back in April 2014. I still own that case today, and it still smells like a forest being torched. 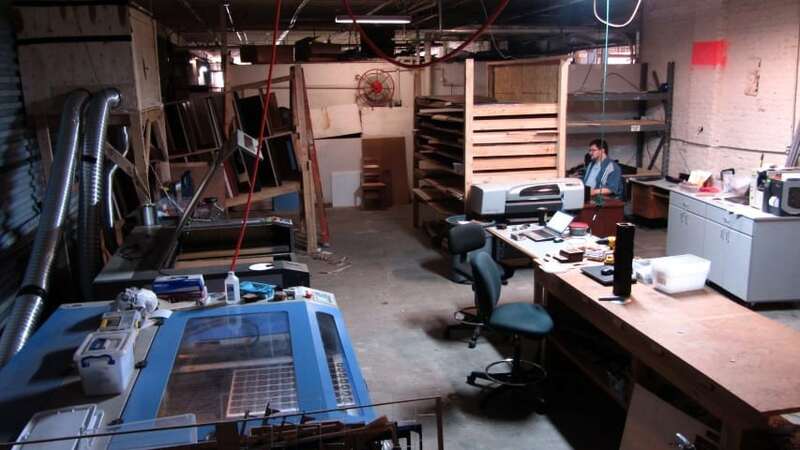 The C4Labs headquarters – once the birthplace of many mattresses. Dustin’s designer can be seen at the back. The Bel-Aire – you will not find another case like it! It might be a bit ‘out there’ for most people, but I’m a big fan of the retro 50’s hot rod styling. I think it’s just clever that this is all made with a bit of flat birch. Check out the rear – engraved labels and even a little vent. Interestingly, this is the second version of the Bel-aire after they updated the design following customer suggestions. A company that listens to customers in 2015? Shocker! It’s so subtle you can hardly see it…or maybe it’s the black background I’m using? Unlike the attention-grabbing Bel-Aire, the Invasion goes for the slick, subtle and almost disguised approach. Whilst it’s larger than most Pi cases out there on the market, the smooth matt black finish and understated lines will make this a great choice for people who want their Pi Media Centre to ‘fit in’ amongst their other AV boxes. 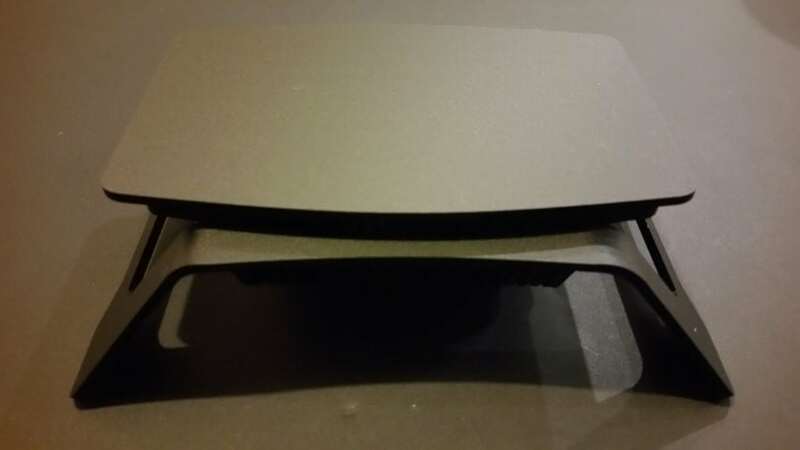 The underside shows the fan mount. Mounting the Pi upside-down works well here. 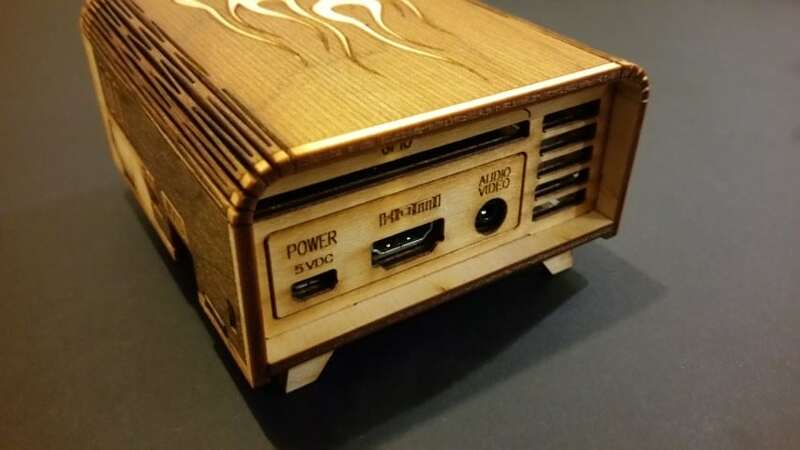 Interestingly, it didn’t start life as a Raspberry Pi case. 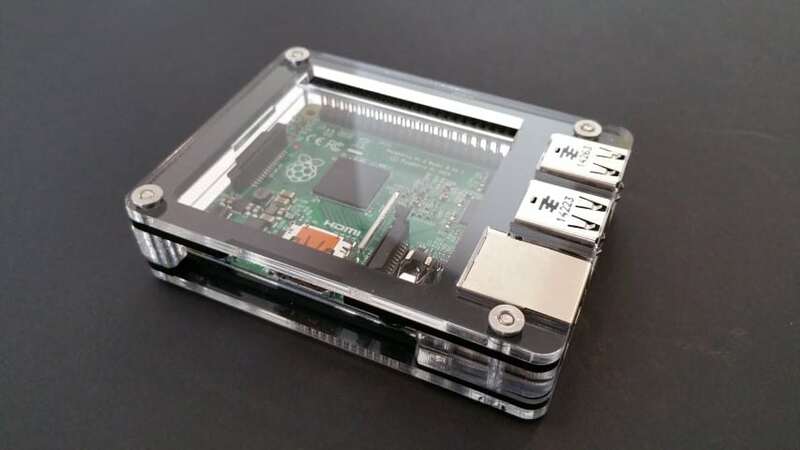 The outline shape was originally a product stand that C4Labs designed for a local store display business – however the wife of the C4Lab’s designer saw potential in it as a Pi case…so that’s what they did! This is how the Invasion started out…a display stand! Looking like it grew from a seed, it’s got ‘woodland’ written all over this one. Great for all you hippy tree-hugging programmers out there. It comes pre-assembled and ready to slap your B+ or Pi2 in (and maybe even your old Pi – see the video), and smells like fireworks night! Whilst they do offer ‘Laser Lime’ and ‘Tropical’ colour options (and others), what I like here is that they haven’t completely abandoned their wood case “roots” (get it? ), adding their unique C4Labs touch by making a number of wood options. The updated Zebra Black Ice – notice the flush fixings and top panel cut outs. A full set of heat sinks comes with the updated Zebra cases, and also the Invasion case. 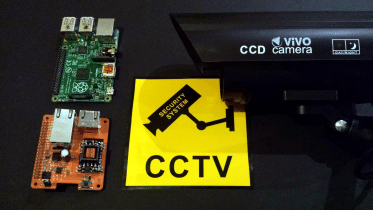 The Zebra VESA is a simple design that keeps your desk tidy and Pi safe. The important thing to note here is that it’s compatible with 50mm, 75mm and 100mm VESA mount holes. Nearly all monitors will be covered, but just check your measurements if you plan to use these with a full size TV. I have three of these: clear acrylic, black acrylic and wood. 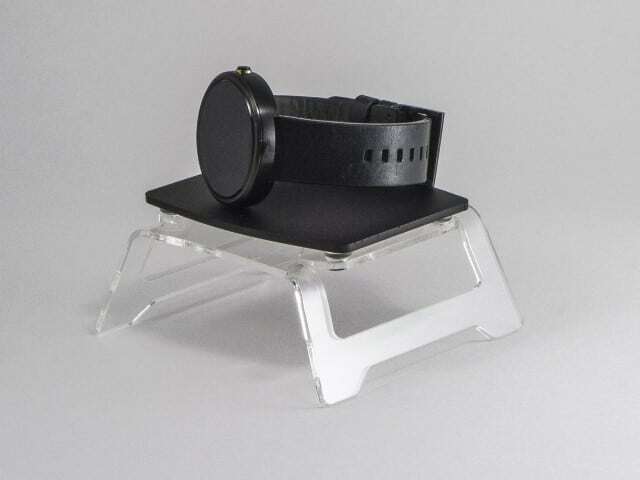 It’s a simple design but very effective in giving you a nice clear desk, especially if you’re not using the GPIO. So, who wants a case then? 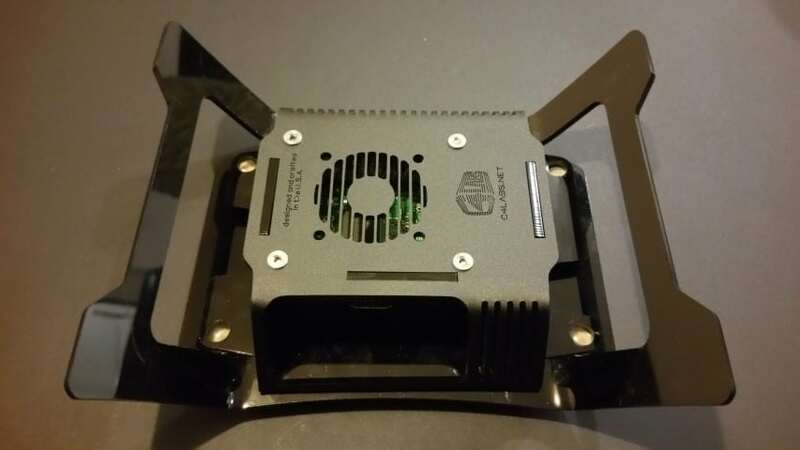 I’m giving away FOUR of these cases to lucky random blog subscribers – the Black Ice updated Zebra, the Pi Borg Plus and two VESA mounts! To enter, you simply need to be an email subscriber of my blog – click here to subscribe. On Sunday 11th October around 13:00 GMT I’ll randomly select 4 lucky winners. Check back here then, or see the winners announced live on my Twitter account. There will also be another chance to win a case on my Facebook page very soon. 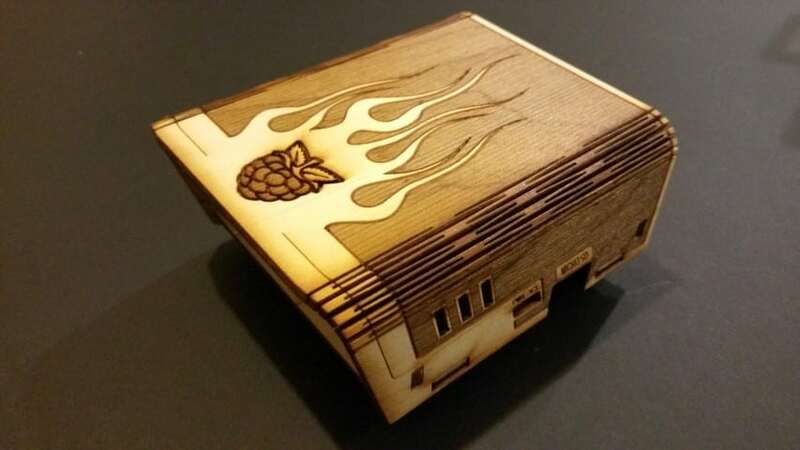 5 Comments on "6 New Raspberry Pi Cases From C4Labs"
I had a Model A+ die on me about two weeks ago myself as well – think I managed to hit it with some static or something like that. They’re annoyingly delicate devices! 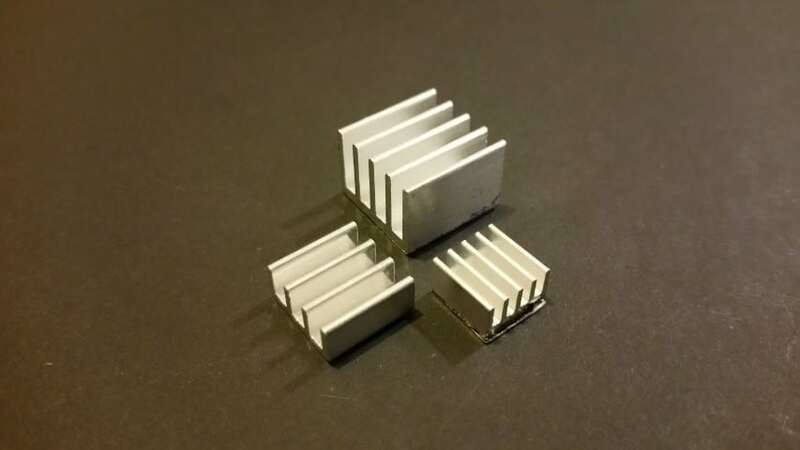 Is there a UK based supplier of these products? 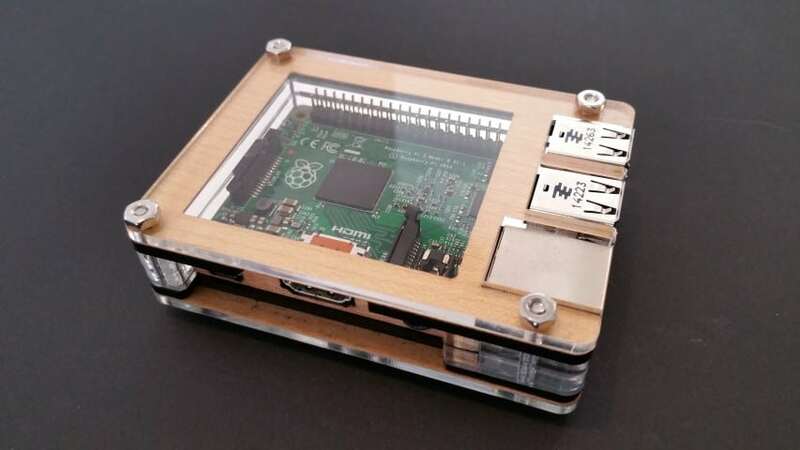 I know the Pi Hut have started selling some of their latest Pi Zero cases (http://thepihut.com/collections/raspberry-pi-zero), which probably means they’ll be getting their other stock eventually. That’s the only UK seller I’ve noticed so far. Do your Pi Zero cases work with the new version of the Pi Zero, V1.3?